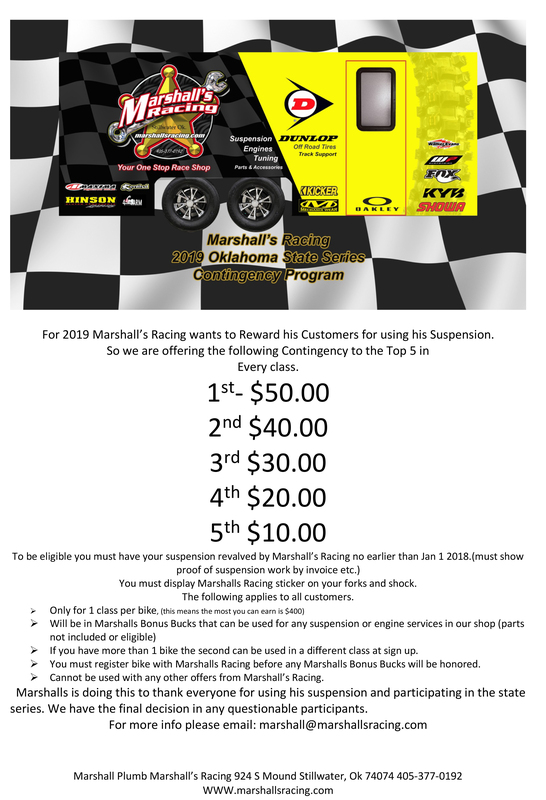 Marshalls is proud to announce a full line of sponsorship for the 2019 OSCS Series. Please look at link below for all our awards and Contingency to be handed out. 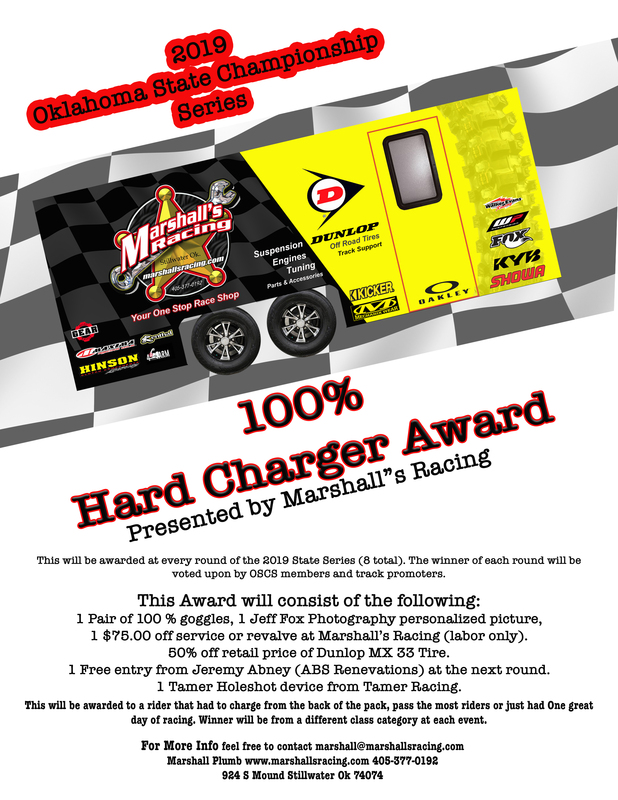 Feel free to call us 405-377-0192 or email us at marshall@marshallsracing.com for more information. The 2019 OSCS series will be a great one with a loy of great tracks and promoters. Click below to be directed to the OSCS website.